It may still be raining (and even snowing) in most of the country, but everyone is clearly thinking spring, because this week's most-pinned image from my Outfit ideas for ageless style Pinterest board is totally transition-friendly. And I am not mad at that. 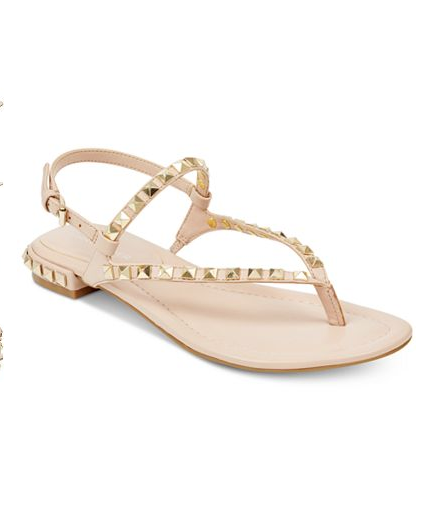 It's a super cute wear-now, wear-later look—so let's re-create it! The key piece in this look is the pink blazer. I've personally been looking for one for years, and think I've finally found it in this Sezane blazer that just hit Nordstrom (the line is available in select stores too, including San Francisco, and I am 100% happy about that). This one has a clean, streamlined look, and the shade of pink is perfect—not too warm, not too bright, just right. 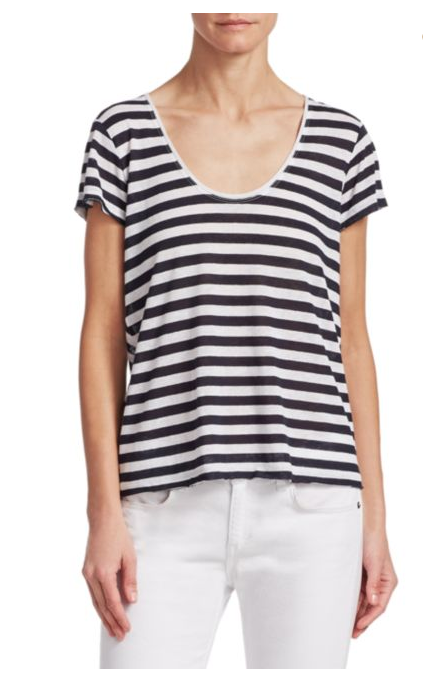 You probably already have a striped tee in your closet but if not, I like the scoopneck shape of this Rag & Bone striped tee. The stripes are a little thicker than the tee in the photo, but the spirit is similar. 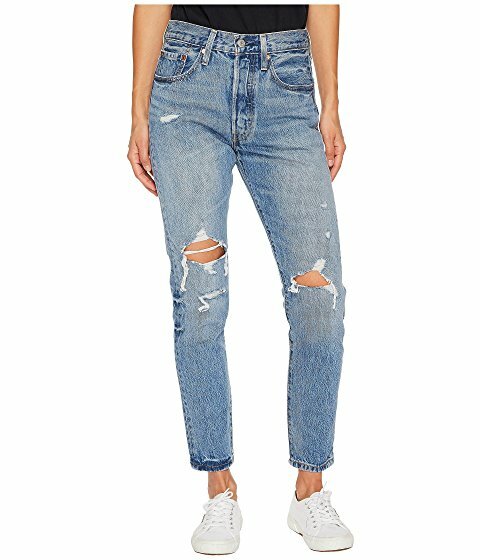 I've been moving toward straight-leg jeans (versus a true skinny), so these oddly named Levi's 501 premium skinny jeans appeal to me—based on the photo, I'm assuming they're a slimmer version of the classic straight-leg 501s, and will hopefully have a similar I've-had-these-for-years, beaten-up look. I'm willing to guess the woman in the photo is wearing Valentino sandals; these Marc Fisher studded sandals achieve a very similar look, down to the studs, but without the Valentino price tag. 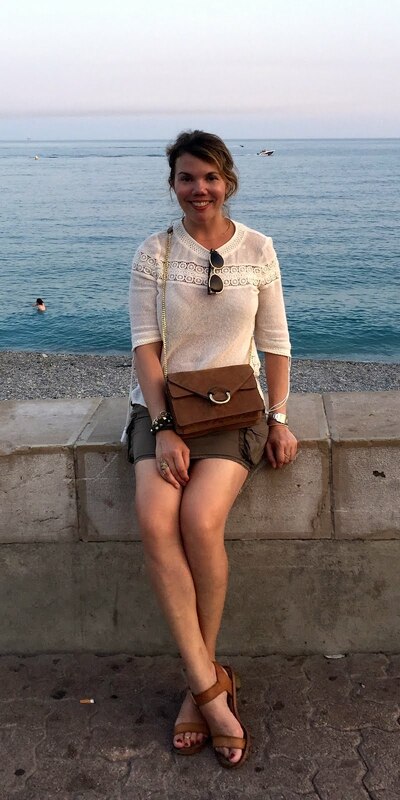 Finally, you can barely see the woman's bag in the photo; I assumed it was Chloé's Marcie bag, but in searching for it, I found this See by Chloé Polly bag, from Chloé's sister line. 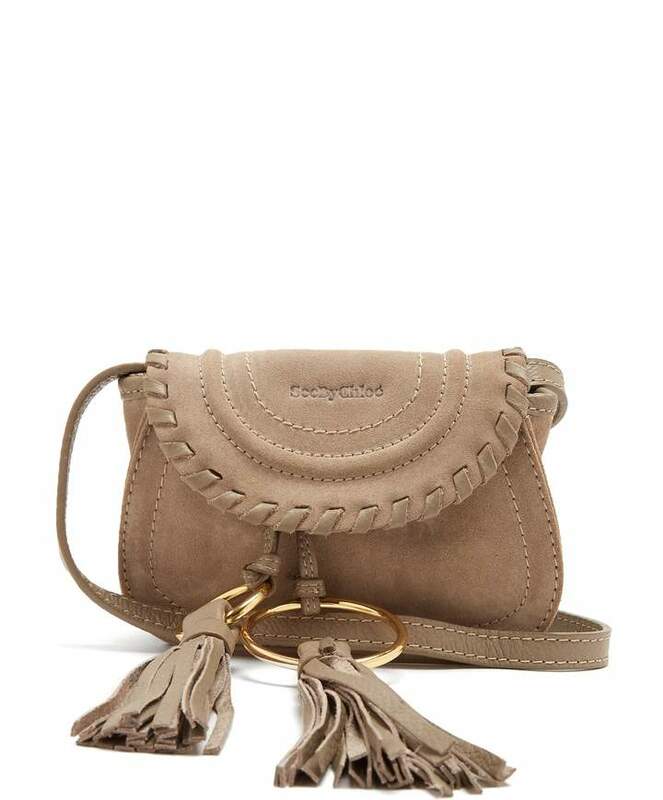 Whoever designed this bag is a genius—it has the look and feel of the main line but it's only $295, which feels like a veritable bargain. 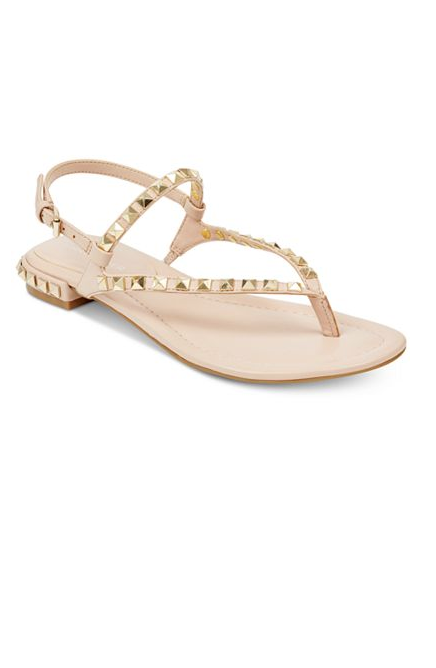 It's sitting in my cart at Matches Fashion as we speak! I am so glad I came on your blog to see what is new. I definitely need a pink blazer. Pink is such a weird color for me. I am loving this blazer and the entire look. Thanks for sharing. Love this! I have everything to recreate this outfit! 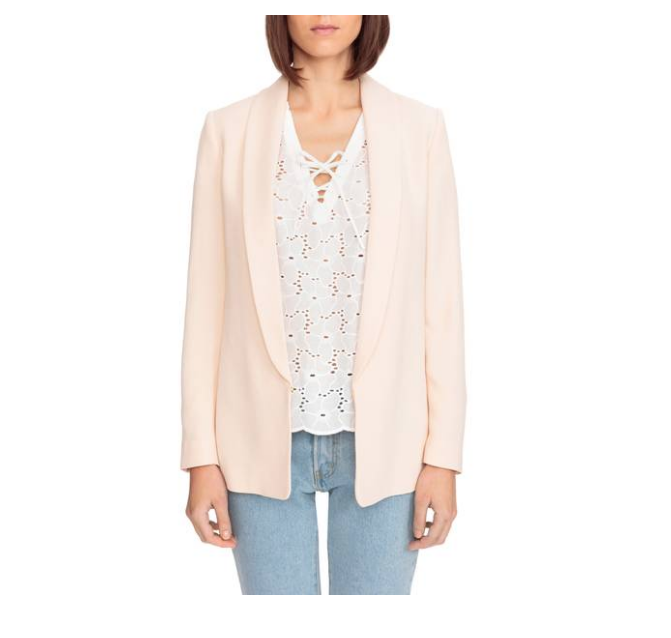 I would love a pale pink blazer! I don't know why I don't have one yet. 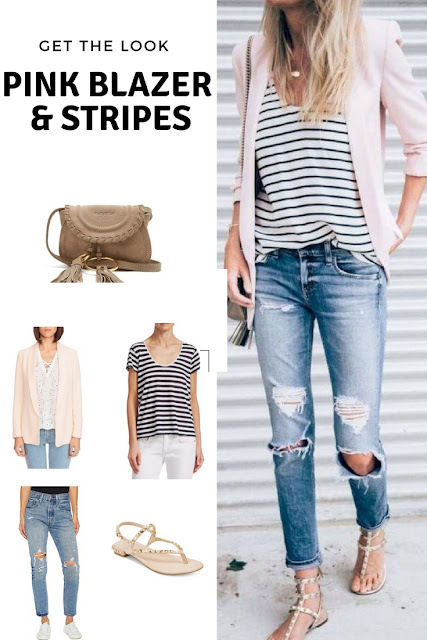 :) I love this look with the striped tee and that bag is just too perfect! Love this outfit, the pink jacket looks great :) Thanks for sharing at Welcome To The Weekend Blog Hop hope you're having a lovely weekend. I have to say that you inspired me to buy a pink blazer.